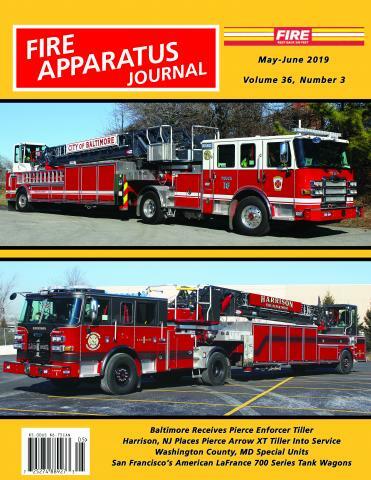 Chesapeake by Curt Elie | Fire Apparatus Journal Inc. The Chesapeake Update provides apparatus news from the Baltimore-Washington Metroplex. This includes areas in northern Virginia through Washington, DC, Baltimore and into the northern Baltimore suburbs. It includes coverage of Anne Arundel, Baltimore, Frederick, Howard, Montgomery and Prince Georges Counties. Fire departments within this area range from large urban departments like Washington, DC, Baltimore, Alexandria, and Annapolis, to single station volunteer departments. There are also several major county departments operating within this area: Anne Arundel, Baltimore, Montgomery, and Prince Georges in Maryland, and Arlington and Fairfax in Virginia. Numerous military and federal facilities, and several airports also operate their own fire departments and coverage of these is included. The Chesapeake Update is written by Curt Elie. The Chesapeake Update is written by Curt Elie. Curt's interest in the fire service extends back to his youth in the late 1940s when he began his fire buffing at the quarters of Engine 33 and Ladder 15 in Boston's Back Bay. Curt served two years in the Coast Guard in the late 1950s, then moved to the Washington, D. C. area in 1962. In 1965 he and two other members of Washington's Friendship Fire Association began to publish that group's quarterly newsletter, The Wagon Pipe which is still published today. Curt is currently one of the foremost authorities on fire boats.